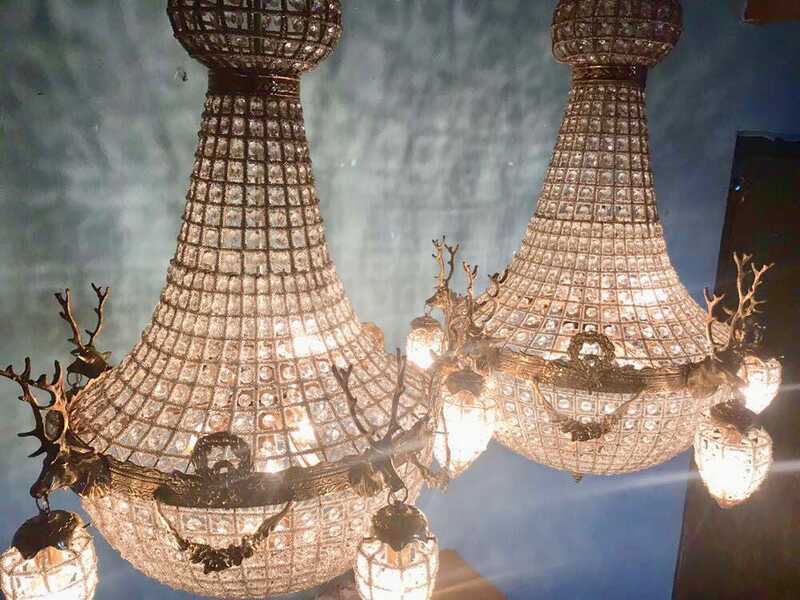 *Listing is for a set of 2 chandeliers as shown on picture 1. Amazing when LIT. 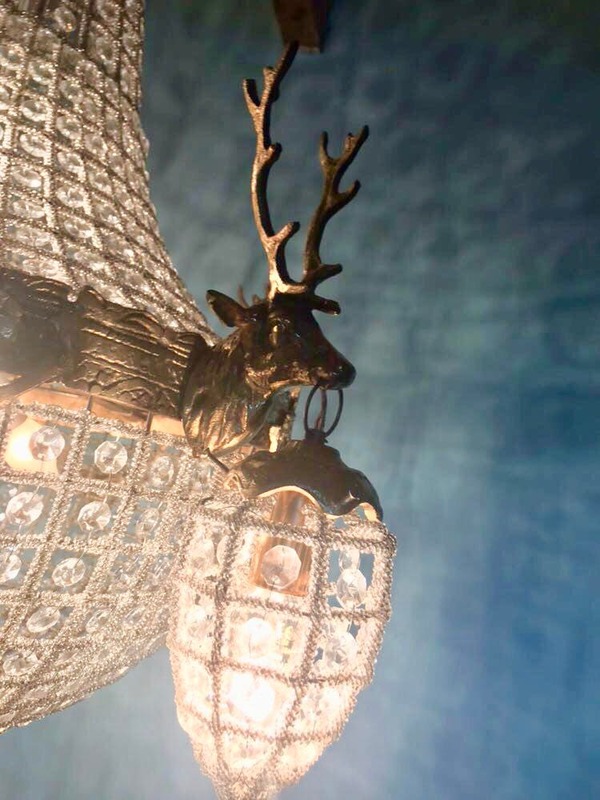 This French Deer Stag Head Chandelier was purchased at auction in France. 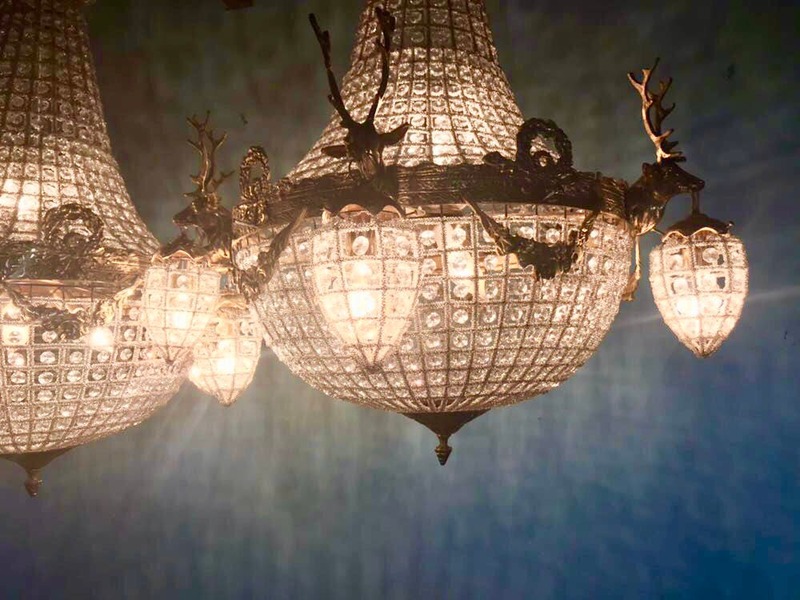 It shows 5 deer heads on each chandelier. The Brass was refinished in Europe. This is ready to plug-in without the need of adapters. 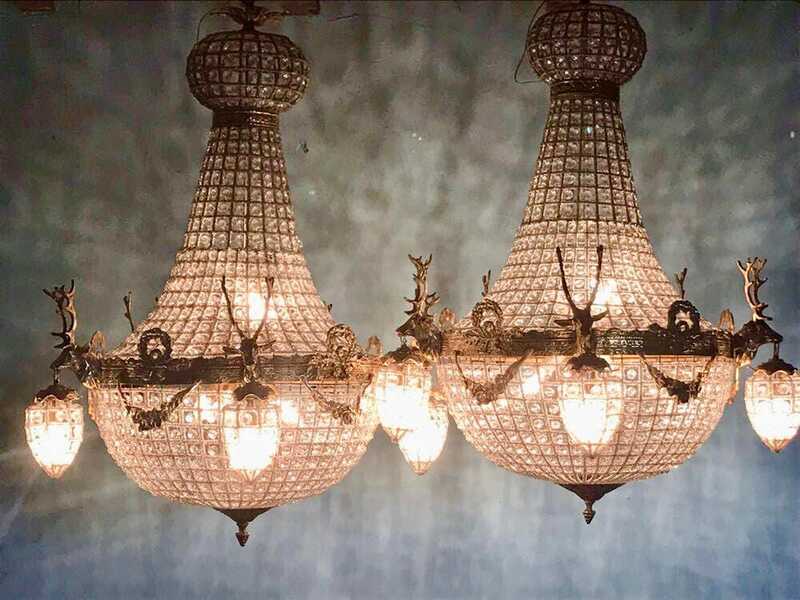 The chandelier is original and has been re-wired for use in the USA. This is an extra large chandelier measuring 35"Height x 29" Diameter. 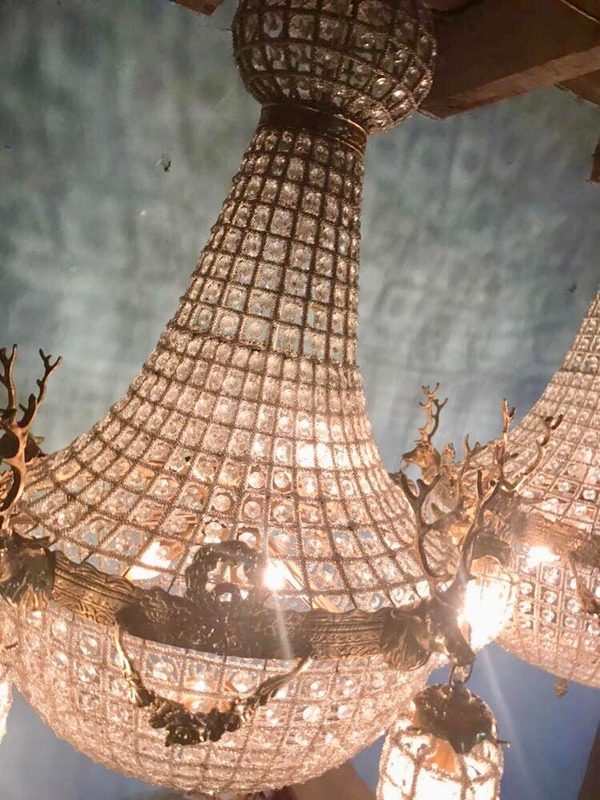 The details of this chandelier are stunning. It takes 11 total bulbs which 1 goes inside each stag (5 total) and 6 inside. The price includes 12 bulbs so that you can have 1 extra. We are not charging for bulbs. I find it easier to include them for you to save you time on having to go look for them at the store. 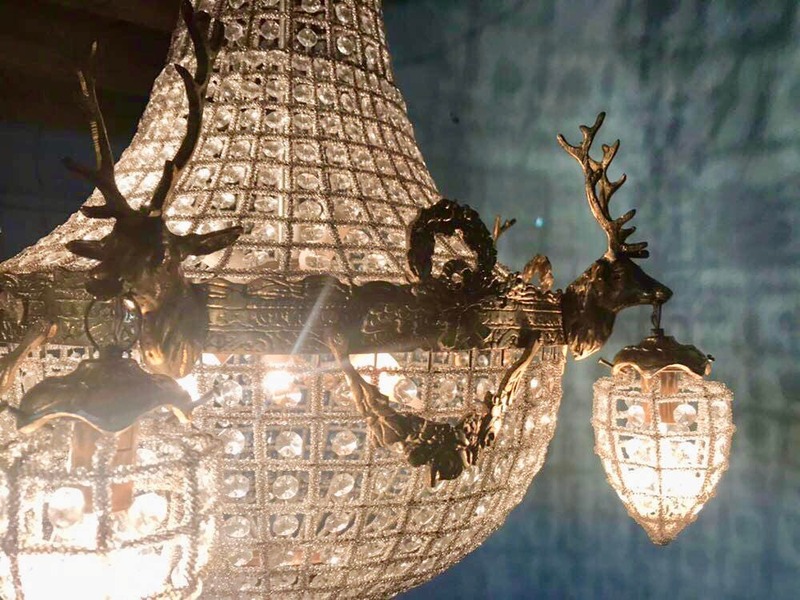 Our chandeliers are tested before we ship them out. 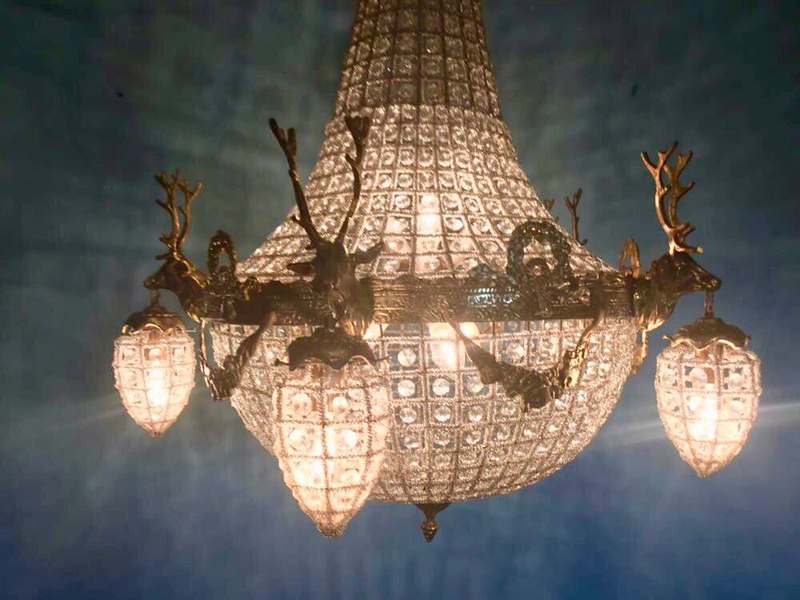 Because of the size of the chandelier, we ship them in two separate packages with tracking. 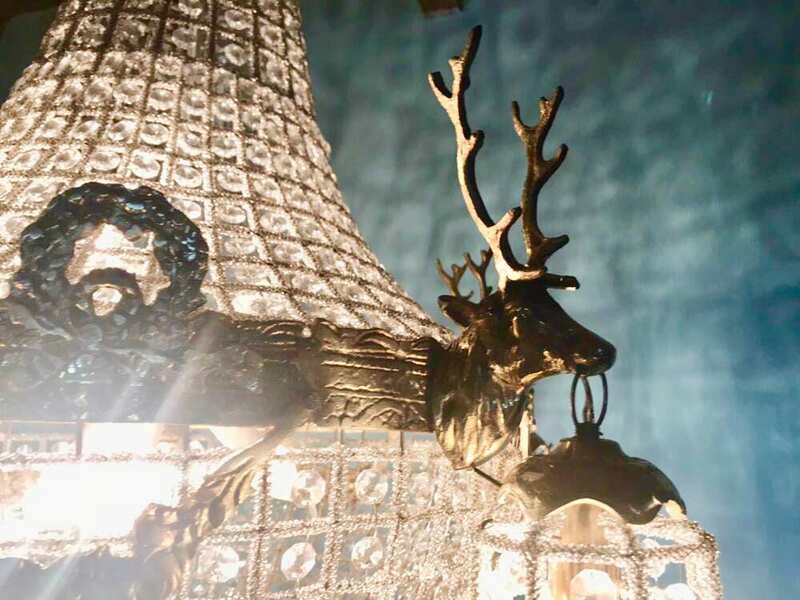 To protect the stags, we unhook them from the chandelier and pack them individually. 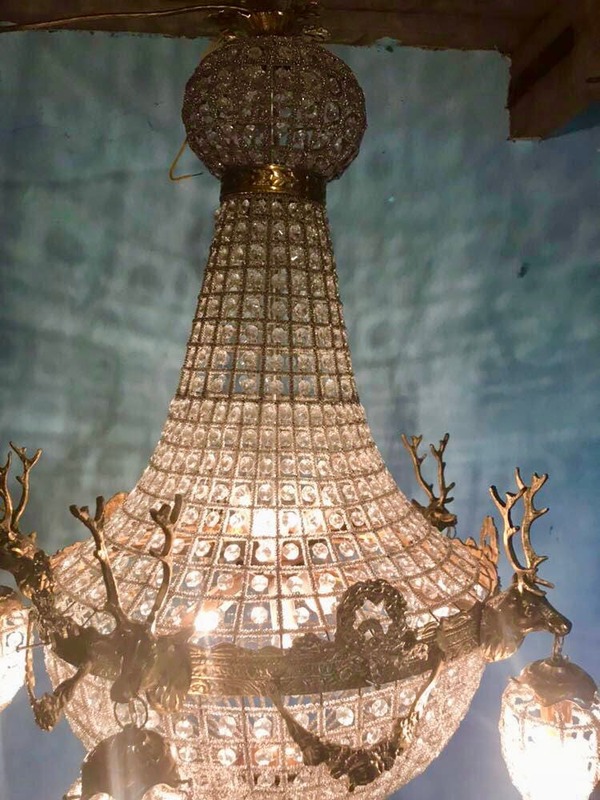 Then the middle of the chandelier, has 3-4 screws connecting the top to the middle of the chandelier. We remove these 4 screws to separate the top from the bottom and wrap it individually. This is literally like taking 2 screws from a wall switch plate. Super easy. If needed, we can take a video to show you. 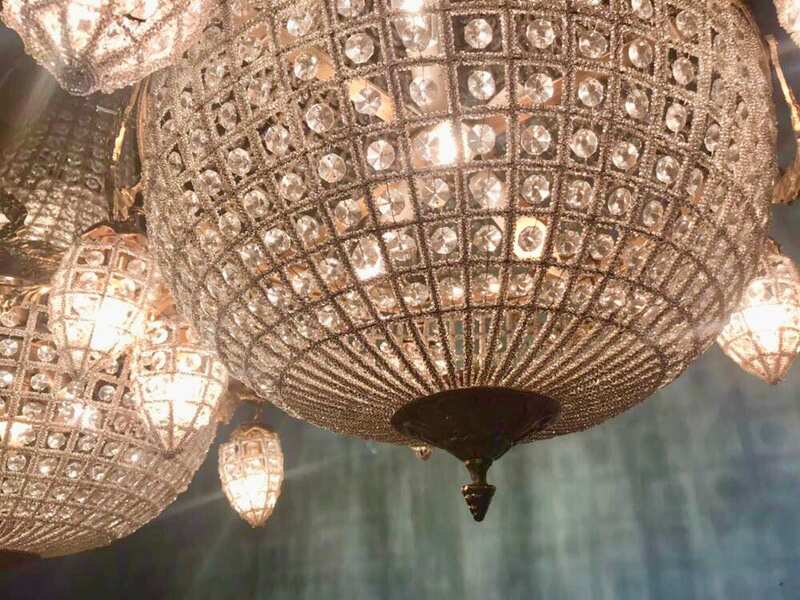 If you prefer that we ship the chandelier in 1 piece, then we have to add $300 to the cost to hire a third party driver and take these from door to door. Shipping will then take longer since we would have to find a driver for you. Shipping flat rate anywhere in the US for $300.